Among numerous other achievements this year, where else can you possibly find Steve Miller? On a billboard…in Los Angeles…at Melrose and North Hudson. 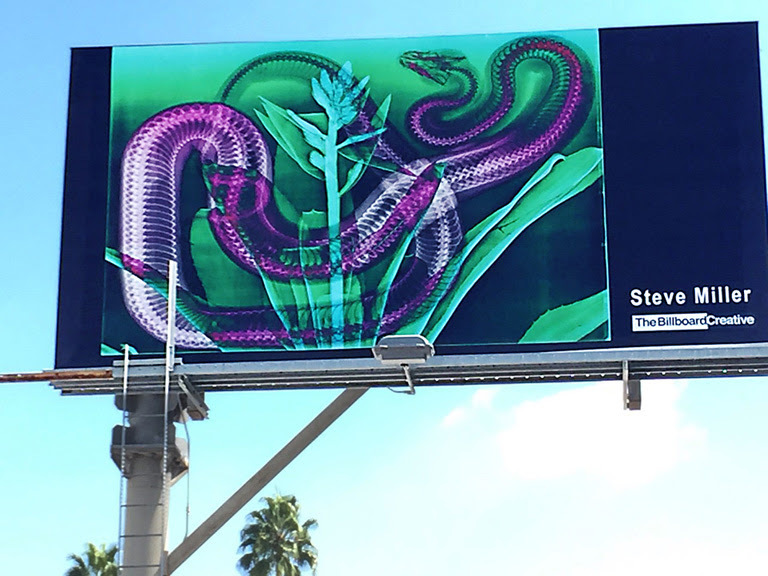 Congratulations to you, Steve Miller, for being selected as an artist for The Bilboard Creative (TBC). In October, The Billboard Creative will transform 31 Los Angeles billboards into public art spaces, bringing public art to the Los Angeles area. To view all the billboards on an interactive map of their location visit TBC’s website at www.thebillboardcreative.com. Steve Miller was an artist in E-Squared’s debut issue. You can read more about him below. New York native Steve Miller is a forerunner of the sci-art movement with his works serving a dual perspective. To the contemporary viewer, Miller’s early work appeared abstract but to the scientist, were realized depictions of biological cells. Since this initial node of ancestry, Miller has continued down the sci-art path, ever-evolving his work. Miller’s most recent work, The Health of the Planet, investigates and brings attention to the fragility of the Amazon. 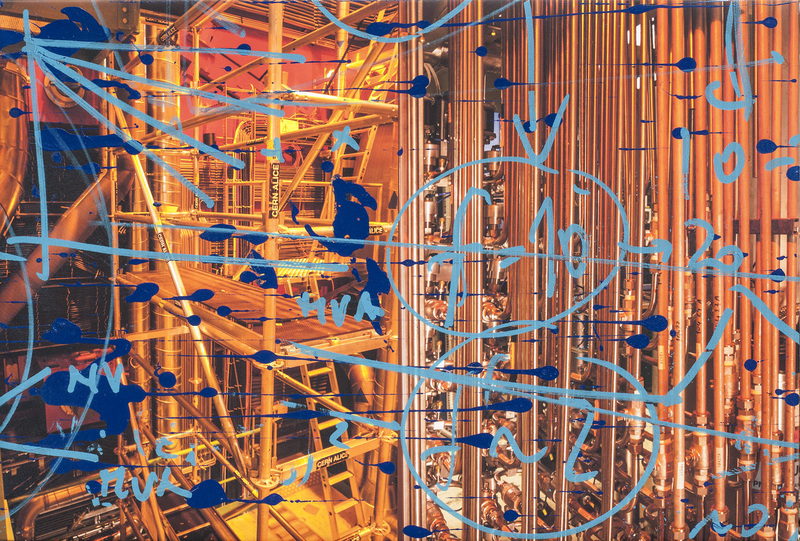 Depicted through an interdisciplinary approach, Miller makes use of media from X-ray photographs to laminated glass. With the Amazon representing half of the planet’s rainforests and being a biodiversity hotspot, he reminds us through his work how important the forests of the amazon are to our planet. Steve Miller’s work does not attempt to answer any questions but instead, elicits questions within the viewer. 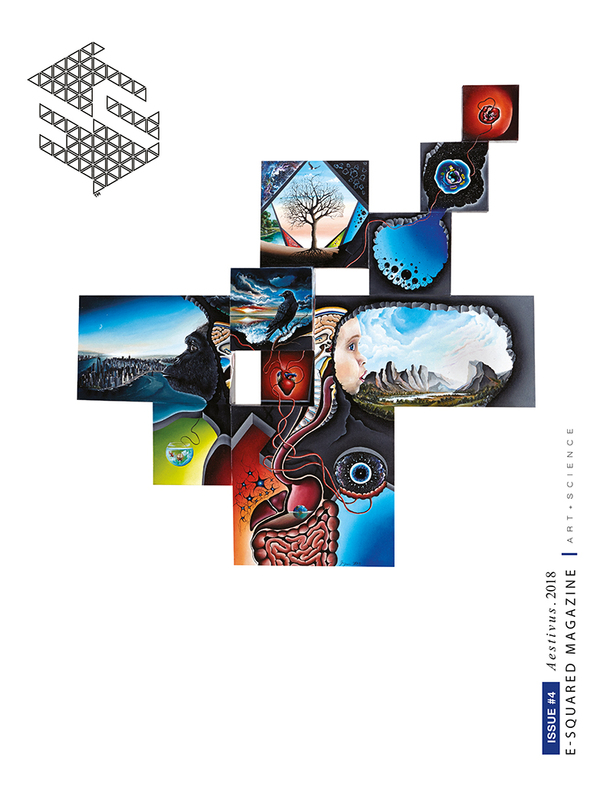 Miller has been exploring the intersection of art and science for well over thirty years and has had over fifty solo exhibitions on display at places like the National Academy of Science and the SciArt Center in New York.